Celebrating its landmark 25th year, Flickerfest, Australia’s leading Academy® Award accredited and BAFTA-recognised Short Film Festival, and the country’s largest short film competition, is now accepting entries from Australia and around the world for our 2016 Festival. Flickerfest will screen for 10 days under the summer stars at Bondi Beach in January 2016, with selected highlights touring Australia on a 50-venue national tour after the festival. Flickerfest remains a platform for celebrating the most entertaining and innovative short filmmaking from around the world, judged by a panel of leading industry experts. All competitions are open to any short film under 35 minutes, completed within 2 years of the entry closing dates. All films must be in English or have English subtitles. Due to the competitive nature of the Festival Flickerfest prefers NSW premieres and films that have not been broadcast or made available for download in Australia. Plus a host of other Awards and Industry prizes valued at over AUD$40,000, celebrating excellence across the film making craft. TeFF will be creating a program of films that speak to both a local and global audience, engages the Tasmanian community in environmental issues and MOST of all entertains. We are creating a rich four-day program that includes VIP guest speakers, Eco Cafe Conversations and a Film Panel Discussion. These will be held around Hobart’s city centre and will bring together industry experts, Tasmanian eco representatives, filmgoers, filmmakers and VIP’s. There will be four days of inspiring, thought provoking and entertaining films – including a special youth program and youth eco film competition to encourage younger filmmakers AND a Tasmanian Eco Short Doc competition. Both with cash prizes! The 2nd SciFi Film Festival - 3 day international event dedicated to exploring and celebrating the science fiction and fantasy genres, their films and pop culture. * The Festival accepts all films produced during and after 2013. * SciFi Short Story Competition accepts short stories of less than 5000 words. * The 3rd Project SciFi gives filmmakers 30 days to write, shoot, produce and upload a short film. * The SciFi Con is held at the Riverside Theatre, Parramatta complex courtyard, showcasing comics, Cosplay, craftspeople, books, collectibles and memorabilia, games, ‘guests’, panels, seminars and workshops, artists and authors, industry professionals, educational and software demonstrations. Screening approximately 100 films - international and local features, featurettes and short films - including International premieres. Awards Ceremony screens the best films from around the world announcing category ‘Best of’ films, plus over AU$5,500 cash and other prizes. A brand new festival that features Australian films made with a budget of less than $50k. Last year saw a fight between Harry Potter and Luke Skywalker; an apocalyptic terrorism attack at Circular Quay; and international bar-hopping cocktail adventures take out category awards at the inaugural Australian Online Video Awards (OVAs). The overall winner, Harry Potter vs Star Wars, has been viewed more than 13 million times despite being made on a budget of only $200. Creator Danny Philippou won a trip to YouTube’s Creator Space in Los Angeles. Now, the OVAs are back to recognise and celebrate the work of online video content makers in Australia. Great prizes are again on offer, including a trip to YouTube’s Creator Space in Los Angeles to learn from the world leaders in online video production and marketing, supported by YouTube. BOFA wants to be seen as THE Tasmanian film festival which is ‘owned’ by the local screen industry with competitions, prizes and awards to aim towards – competitions that promote excellence and are a benchmark for the state. BOFA 2015 focuses on challenging and acknowledging the highly creative Tasmanian screen industry with not just one, but three, competitions and BOFA Devil awards. Entry is free for Tasmanians or $20 for all others and entries close at 2nd August, 2015 at midnight AEST. The EFFM (Environmental Film Festival Melbourne) is a not-for-profit organisation dedicated to advancing the knowledge and understanding of environmental issues. The festival uses the power of film, music and debate to unite filmmakers, environmentalists, politicians, scientists, experts, and the broader public in their desire to actively engage in issues that affect all of our futures. This year EFFM is going to become EFFA (Environmental Film Festival Australia) and will go for the first time to Hobart. We are currently accepting submissions to the Film Festival of Tasmanian environmental short films. Broadly address a subject matter related to the environment – e.g. relationship to nature, sustainability, environmental impacts. Have been completed after 1 January 2013. Film submissions must be provided via an online platform eg. Vimeo or YouTube, with a link and password (if required). FILMIC GOLD PROSPECTING SEASON DECLARED OPEN AT HOG! Calling all filmmakers who have recently produced short films that beat with a rich vein of humour, and a good, strong heart! The 8th Heart of Gold International Short Film Festival (HOGISFF, or simply HOG for short!) is now calling for submissions via reelport (www.reelport.com/index.php?id=735). Heart of Gold 2015 will see more than 120 films screened (in competition, and out of competition) in historically rich Gympie, Queensland from 8-11 October. HOG’s artistic directors (or self-described “film prospectors”) are on the lookout for short films (up to 30 minutes in length) from all genres that best capture the festival’s unique vision. Early bird submissions via reelport close 1 June, 2015, with the extended deadline of 18 July. The AFF was established in 2002. It welcomes submissions of any length or genre, including drama, documentary, experimental and animated films. Celebrating its 24th year, Flickerfest, Australia’s leading Academy® Award accredited and BAFTA recognised Short Film festival is now accepting entries from Australia and around the world for our 2015 Festival. Flickerfest remains a platform for celebrating the most entertaining and innovative short film making from around the world, judged by a panel of leading industry experts. All competitions are open to any short film under 35 minutes completed within 2 years of the entry closing dates. An international jury will award prestigious Academy®Accredited awards plus a host of other Awards and Industry prizes valued at over $40,000AUD, celebrating excellence across the film making craft. SciFi Film Festival is dedicated to promoting sci fi film culture and celebrate all things science fiction, with $8,500 in cash prizes. Have you made a scifi film? We are accepting submissions to the film festival of feature films, short films, music clips, documentaries, machinima and animations for a chance to gain exposure with $2,000 in cash prizes and awards. 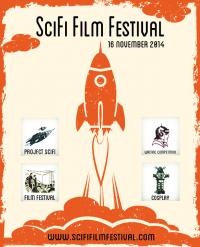 A selection from these submissions will be screened at our annual SciFi Film Festival. Closing date for submissions is Midnight 19th October 2014. Writing Competition invites creative writers to submit their sci fi short story of 5000 words or less with $500 cash prizes and awards. The winning story is then promoted on our website and showcased to the world. Closing date for submissions is 2nd November 2014. Visit www.scififilmfestival.com to find out more. Fringe Film: Digital Creatures returns to the Melbourne Fringe Festival in 2014 and is now accepting submissions from filmmakers and artists. The open access program will present the finest and most imaginative new work from the worlds of film, digital video, animation and art to Melbourne audiences. Filmmakers, artists and animators are invited to submit completed screen-based works up to 12 minutes in length for exhibition during the festival, 18 September- 5 October. Submissions will be collated and curated by Melbourne Fringe and screened at Little Creatures Dining Hall in Fitzroy. All works included in the program will be eligible for the Fringe Film: Digital Creatures prize of $500 cash, plus an exclusive opportunity for further screening of your work and a small opening celebration at the Little Creatures Dining Hall in 2015. Registrations for the program are open now until 21 July. For all registration and submission details, visit the website. The Australian Online Video Awards are the brand-spanking-new industry awards to recognise the work of online video content makers! Significant career-making prizes are on offer, including a trip to YouTube’s Creator Space in Los Angeles to learn from the world leaders in online video production and marketing, supported by YouTube. As long as your work was produced for the web and was first made public on a website, you are eligible to enter the OVAs. The full list of categories to enter will be published soon. Winners will be announced on Tuesday 14 October at Docklands Studio, Melbourne, as part of Open Channel’s ‘Generation Next’ conference. 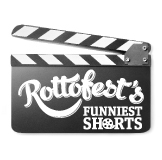 Rottofest, Western Australia’s only ‘overseas’ festival that you don’t need a passport for, is calling for comedians, funny people and filmmakers from across Australia to submit comedy short film and filmed sketch entries for this year’s Festival to be held on Rottnest Island from the 19th September - 21st September 2014. Screen My Shorts, Australia, with Parramatta City Council, is launching a global short film challenge over 30 days to raise awareness about the Homeless. Filmmakers, animators, machinimatographers and documentary makers across the planet will produce a 3 - 10 min short film in English, or their own language with English subtitles, on the theme: the Homeless. “Council is pleased to support the festival by providing up to $10,000 worth of cash prizes. I encourage all budding filmmakers to start getting creative!,” Lord Mayor, Cr Chedid said. Subjects to explore include: current refugee situations, LGBT intolerance, homeless by choice, gambling and economic pressures and more. Who will take out the coveted boxer shorts trophy for 1st prize, plus $5,000 cash? From the registration fees collected, 25% will be donated to a worthy cause that is relevant to the theme. Friday 7.00 pm 11th April 2014, teams are randomly allocated a subject and line of dialogue to include in their short film and then upload it by Sunday 12:00 midnight 11th May 2014. To register your team or for further info click here. We are proudly inviting Filmmakers to a remarkable event called "The Amazing Thailand Film Challenge 2014". It's the event gathering film makers from around the world to come and make short films here in Thailand in order to help us promote our country. This Film Challenge is a part of "Thailand International Film Destination Festival 2014". The challenge has been separated into 2 classes: Students class and Professional class. The event period is between 20 - 29 April 2014. If any Filmmaker is interested in joining the competition or would like to know more details please contact: atfc.thailand@gmail.com or visit https://www.facebook.com/AmazingThailandFilmChallenge from last year. To All Comedy Filmmakers of the World! OUR call for entries for the 17th Over The Fence Comedy Film Festival is Open. ONE Criteria - Must have an excellent sense of humour!! Film makers: Do you feel lucky? Submissions for the Lucky Film Festival are now open. Lucky is open to all films, no matter what age, qualification or whether previously screened. All we ask is that they are Australian and under 10 minutes. That's it. Submissions close on Friday 13 September, but there will be no lucky winners – only damn good winners. All shortlisted winners will be screened at Platform 2 in Leichhardt on 12 October. There are fortuitous prizes on offer including a one on one dinner with a film producer and $1,500 worth of in kind support from The Arts Platform Sydney towards your next film venture. So go on, make your own luck and submit your film to the Lucky Film Festival. Rottofest, Western Australia’s only ‘overseas’ festival that you don’t need a passport for, is calling for comedians, funny people and filmmakers from across Australia to submit comedy short film and filmed sketch entries for this year’s Festival to be held on Rottnest Island from Friday 6 September to Sunday 8 September 2013. Entries for the eighth annual Show Me Shorts Film Festival are now open! We are looking for short films from New Zealand and all around the world. From the hundreds of entries we receive each year, we'll be selecting the 40 best shorts to compete for nine different award categories, and a total prize pool valued at well over $20,000. Submitted films must be between two and 20 minutes long, and made within the last two years. Submissions for the Dendy Awards for Australian Short Films close on Wednesday 27th February. Shortlisted films will be screened during the Sydney Film Festival and winners receive a cash prize, with Live Action and Yoram Gross Animation Award winners being eligible for Academy Awards consideration. Past Award winners include Kriv Stenders (Red Dog), Jane Campion (The Piano), Phillip Noyce (Patriot Games) and Warwick Thornton (Samson & Delilah). To view full rules and regulations, visit: http://sff.org.au/public/faq/rules-regulations/. The 4th annual West End Film Festival (WEFF) is calling for entries for the 2013 program. WEFF is a national short-film competition that takes place in Brisbane’s creative hub, West End. Australian filmmakers are encouraged to enter works from all genres including drama, documentary, animation and music clips. The festival welcomes first-time and established filmmakers, as well as creative producers to enter their unique works. The West End Film Festival 2013 award categories include; best film judged by Industry, Community favourite, Best Animation and the Indigenous Film Craft Award. Successful entries will be showcased in the 2013 program, a night that attracts over 600 guests. Cash prizes are awarded to the winners of each category, with additional prizes for stand-out productions. For details on how to enter, visit www.westendfilmfestival.com.au. Shorts Film Festival offers independent Australian filmmakers the chance to compete for one of the best prize pools for short films in Australia, including the Gold Shorts first prize of a trip to a prestigious international film festival such as Cannes or Sundance, and the Black Shorts award (to the value of $10000) for the Best Indigenous Short Film. Shorts recognises and rewards emerging filmmakers and cinematic storytellers with cash prizes, significant accreditation and valuable industry and career development opportunities. Successful festival entrants also have the opportunity for international exposure if their film is selected to be included in a showcase to be screened at the prestigious Rushes Soho Film Festival in the UK. Early Bird entries for the 2013 festival (with discounted entry fees) are now open and are strongly encouraged. Entries closed 4 January 2013. This is an outstanding development opportunity for emerging filmmakers, with finalists participating in a mentoring program held during the Australian International Documentary Conference (AIDC). Last year's winner Paul Gallasch says, "It was an extremely valuable experience for me... being in the presence of such prolific professionals was both a grounding and inspiring experience." Paul has since won the FOXTEL Australian Documentary Prize at the Sydney Film Festival. A panel of high profile international documentary professionals will judge the films, and present the F4 Award for Outstanding New Documentary Talent to one exceptional filmmaker. 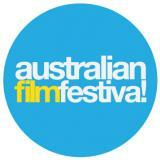 The selected films will also be screened to the public during the Adelaide Festival. The MyState Student Film Festival is Tasmania’s biggest film festival, and you can be a part of it. Entries have a shot at our prestigious awards, including the Technical Achievement Award sponsored by Wide Angle Tasmania, with a prize pool worth over $10,000! This years theme is Box. ing Australian filmmakers, and creates a context for contemporary Australian works by getting the classics out of the vaults and back into the cinemas. By hosting the world's biggest celebration of Australian films, Dungog has become a key event on the screen industry’s calendar and a must for lovers of Australian screen culture. Calling all AUSTRALIAN FILMMAKERS who are queer or have made a queer film. The 2012 My Queer Career competition is seeking entries. My Queer Career is one of the world's most prestigious awards for queer short filmmakers and is only open to locally produced work. The major prize includes $3,000 cash and automatic inclusion in the international queer shorts competition, the IRIS PRIZE. Other prizes include in-kind production facilities and support to the value of $15,000. Over 4 days in Autumn, the Heart of Gold International Film Festival combines the genuine warmth and hospitality of a country town with Local and International films that are entertaining, thought-provoking and express a positive view of the world and humanity. Entering its sixth year in 2012, Heart of Gold is gaining the recognition and size to establish itself among the best competitive short film festivals in Australia. Move Extra Tropfest is the world’s largest short film festival and is in full preparation mode for our 20th anniversary festival! We once again ask filmmakers of all backgrounds and levels of experience to get out there and start making short films for the festival. Films can be about anything but must include the annual Tropfest Signature Item (TSI), which for 2012 is ‘LIGHT BULB’. Embarking on its 29th year the St Kilda Film Festival, proudly presented and produced by the City of Port Phillip, screens the Top 100 short film entries received in competition alongside the ever popular SoundKILDA Australian music videos music video competition. The Melbourne International Film Festival established in 1952 (60th – 2011) is the most significant screen event in Australia. MIFF takes place in the heart of the city and presents an acclaimed screening program alongside contextualised, industry and celebratory events. MIFF showcases both the best in current cinema from around the world as well as retrospectives, tributes, and 'talking pictures' programs. Since its inception MIFF has been committed to local film and screens an Australian survey as well as hosting celebratory world premieres for of Australian films. The City of Port Philip Youth Services will be hosting a under 21's open entry category in this year's St Kilda Film Festival. Over the past few years it has been noted that there is a growing number of young film makers producing shorts. Although, the St Kilda Film Festival is an open entry competition it is often difficult for young people to compete against more experienced film makers of an older age. This category will be solely dedicated to the work that is being produced by young filmmakers in Australia; films that have been produced outside Australia will not be included. Since 1982 the ATOM Awards have been showcasing the best of Australian and New Zealand screen content. We are calling upon students, production companies, independent filmmakers, animators and game developers to submit their entries now for the 2012 ATOM Awards. Be part of the story! The ATOM Awards recognise excellence in over thirty categories of film, television, animation and new media. These Awards promote and celebrate the dynamic relationship between screen industries and the education sector. The Brisbane International Film Festival provides a focus for film culture in Queensland by showcasing the best and most interesting cinema from around the world. Each year BIFF draws film enthusiasts to view an entertaining mix of local and international films, retrospectives and colourful events that embrace the vibrant art of filmmaking. Since the first festival in 1992, BIFF has become a well-renowned Australian festival where more than 375,000 film-goers have immersed themselves in the BIFF experience. This October the world will witness the birth of Australia’s most vibrant and dynamic film festival, floating in the center of spectacular Sydney Harbour on Cockatoo Island, managed by the Sydney Harbour Federation Trust. Featuring the largest international competitive film program in Australia, Cockatoo Island Film Festival, 24th – 28th Oct, will be the place to showcase your films with the Australian and International screen industry, along with an estimated 45,000 festival-goers who will attend. Jameson Irish Whiskey is proud to present Hollywood Hot Shots – a short film competition in conjunction with the 2012 Australian Liquor Industry Awards (ALIA). The Australian Liquor Industry Awards (ALIA), hosted by Australian Hotelier, National Liquor News, bars&clubs and TheShout, are the leading awards for the liquor industry in Australia. 2012 marks the 19th year of ALIA, with this year’s awards ceremony being held on 17th October, at Luna Park, Sydney. Over 45 awards will be handed out within a range of categories, from people to products, venues, to liquor stores and the coveted award of ‘Supplier of the Year’. The Sandfly Film Festival is now open for entries for its 3rd year to be screened in November 2012. The Sandfly Film Festival showcases and promotes Australian and international short films and music videos. From award winning works to cutting-edge new comers, from tear-jerkers to rip-snorters, thrillers, classics and indies, Sandfly presents films with bite! Celebrating its 22nd year, Flickerfest, Australia’s only Academy® Award accredited and BAFTA recognised Short Film festival, and its largest short film competition, is accepting entries from Australia and around the world, for our 2013 Festival. Flickerfest will screen for 10 days under the summer stars at Bondi Beach in January 2013 with selected highlights heading off after the festival around Australia on a 40 venue national tour. Flickerfest remains a platform for celebrating the most entertaining and innovative short film making from around the world, judged by a panel of leading industry experts. The Aurora Short Film Festival is open for entries! Anything under 10 minutes is what they're looking for. Drama, documentary, music videos, animation... anything! If you're after a cash prize, industry recognition, or you're just in it for the love of the craft, then get your creative cap on and enter. Antenna Festival is now accepting submissions for the 2013 festival, which will take place for the third year in Sydney, October 2013. Antenna invites features, medium and short films from established and debut filmmakers. Antenna 2013 will feature over 30 feature documentaries, three film competitions with cash prizes, DocTalk sessions and international guests.